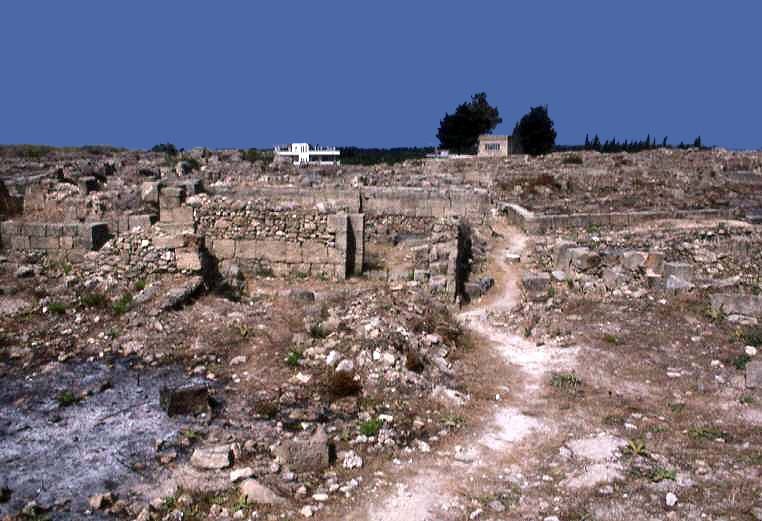 A gateway, palaces and other buildings were manufactured from stone at Ugarit. 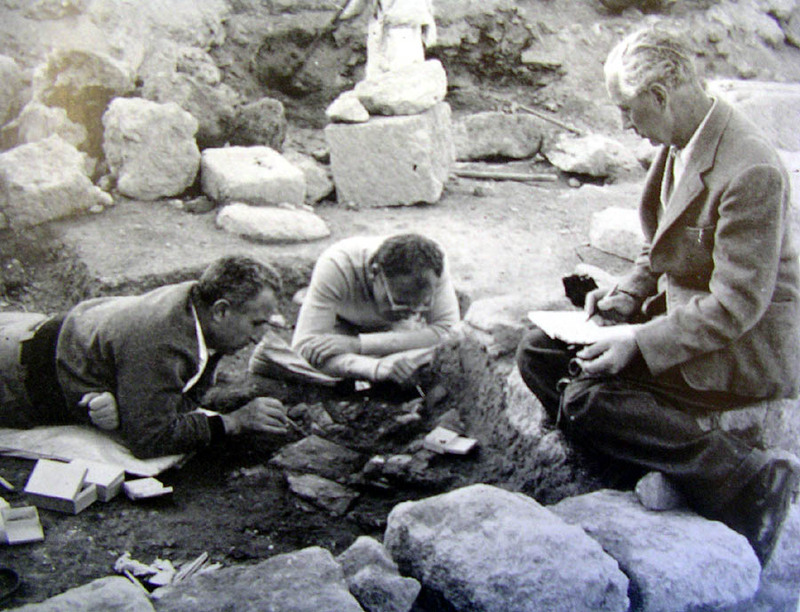 French archaeologist excavating in the palace area during 1954. 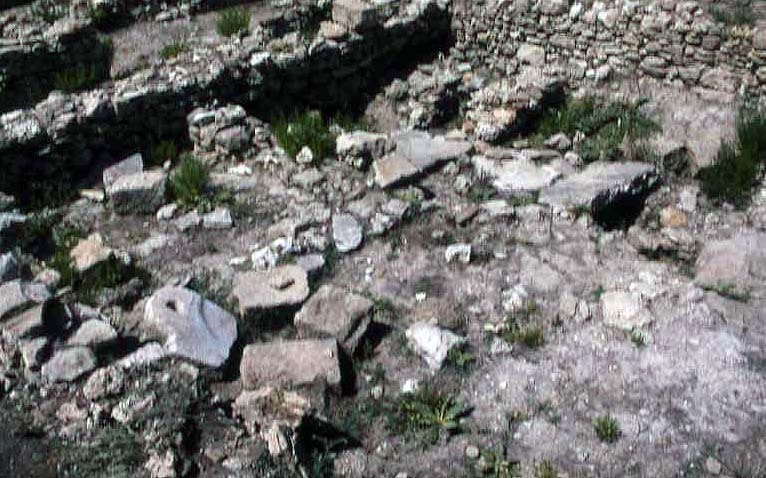 Stone bases to columns in the palace at Ugarit. 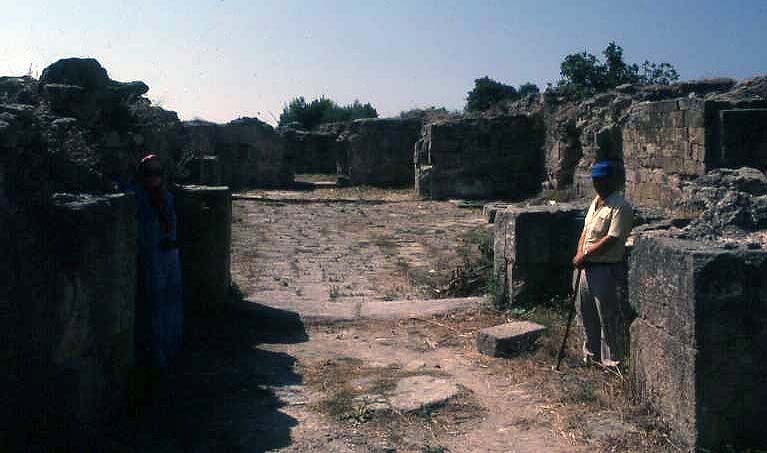 View into the courtyard in the palace at Ugarit. 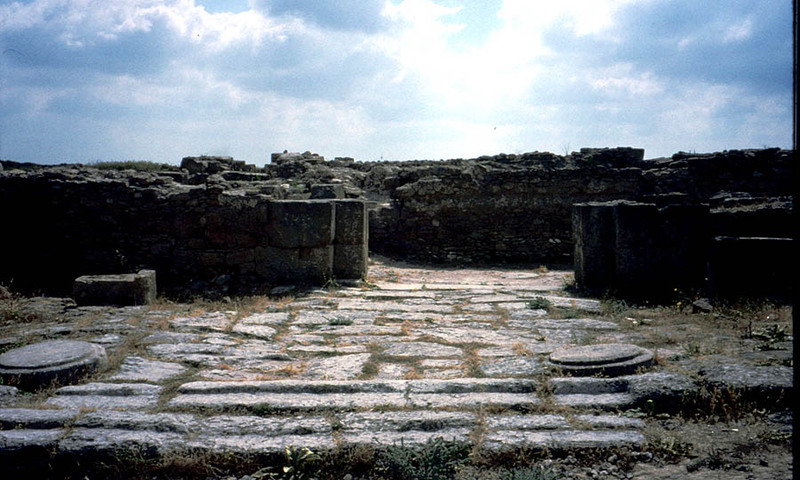 View towards the west within the palace at Ugarit. 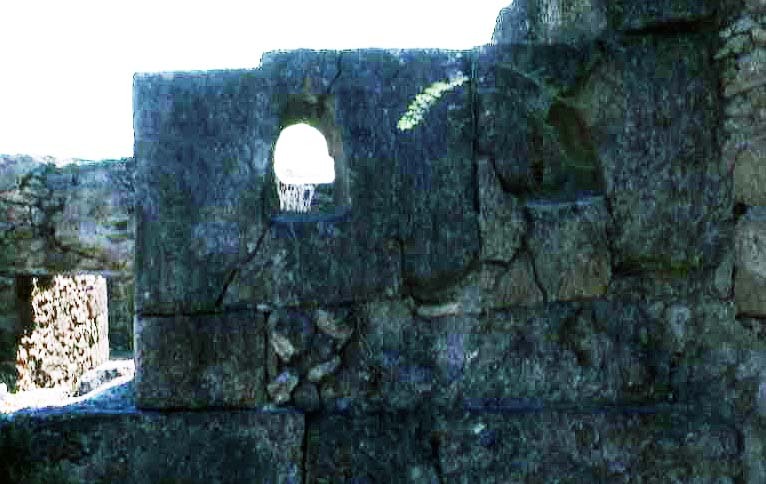 Small sentry window within the palace at Ugarit. 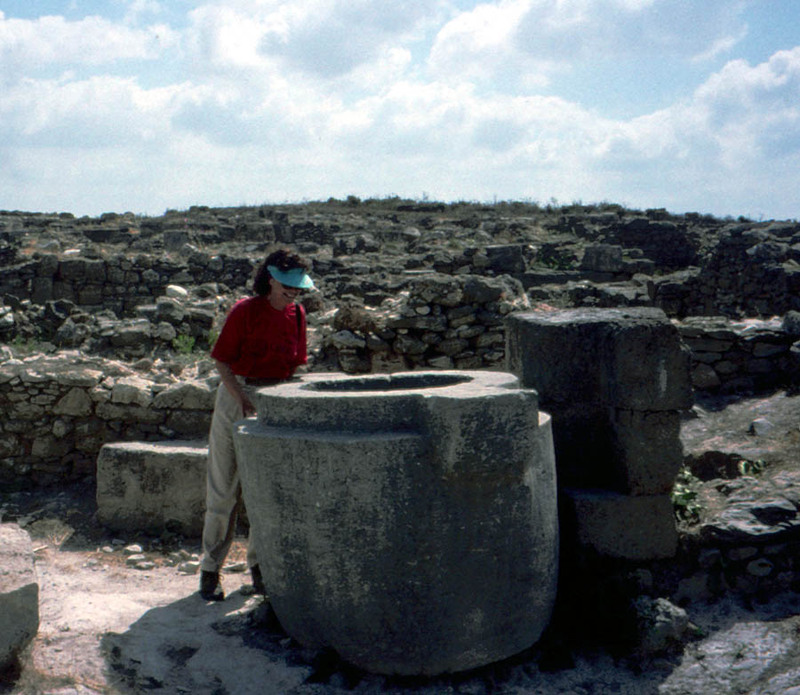 Large stone storage jars inside the palace. 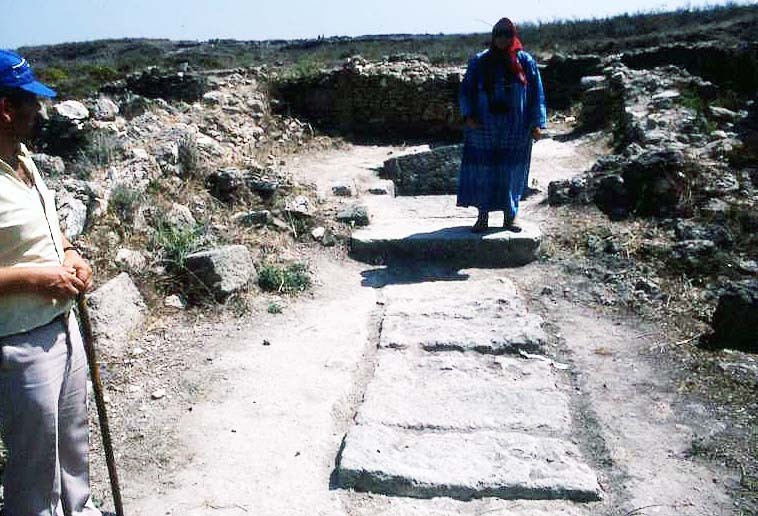 Stones inside of the gateway into the city of Ugarit. 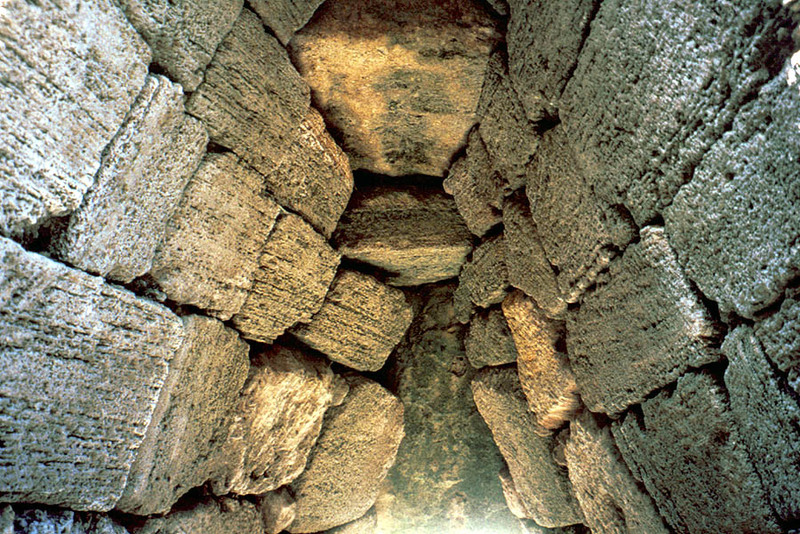 Heavy stones sealing the entrance to a tomb within the city of Ugarit, Professor Neathery Fuller in the photograph. 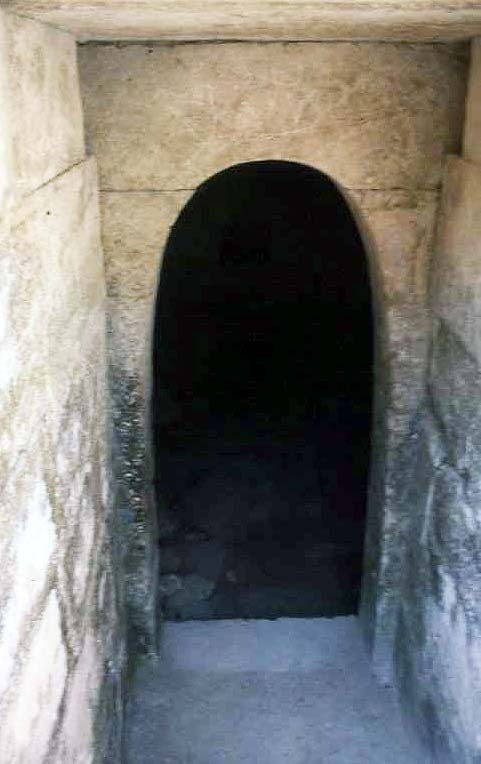 Underground doorway of a tomb at Ugarit. 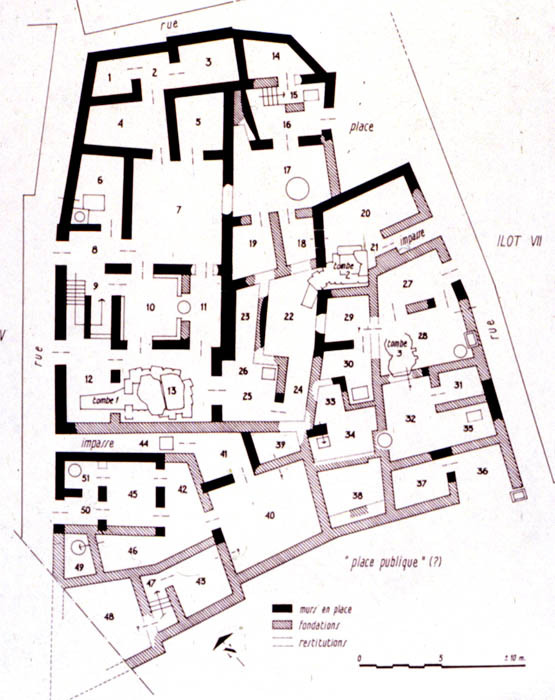 Plan of a tomb at Ugarit. 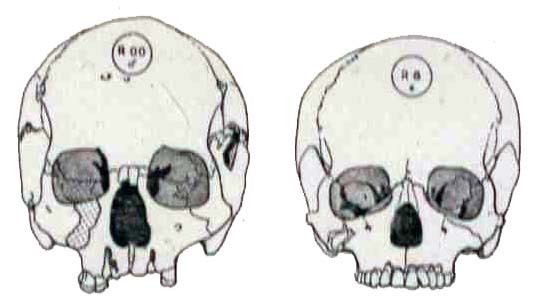 Drawings of skulls from Ugarit. 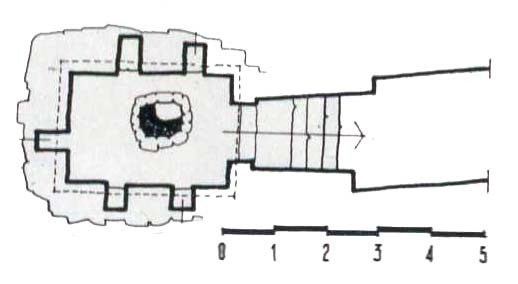 Ship anchor (stone with hole) associated with the Temple of Baal. 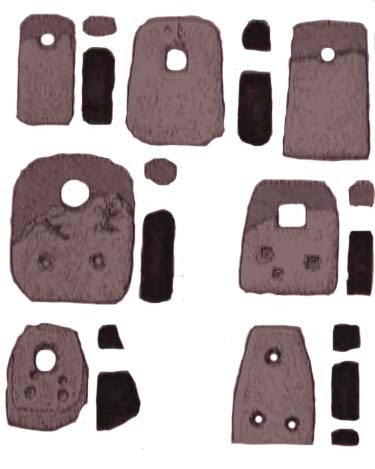 Drawing of ship anchors associated with the Temple of Baal. Carved stela of Baal found in association with a temple on the high place of Ugarit, Louvre Museum, Paris. 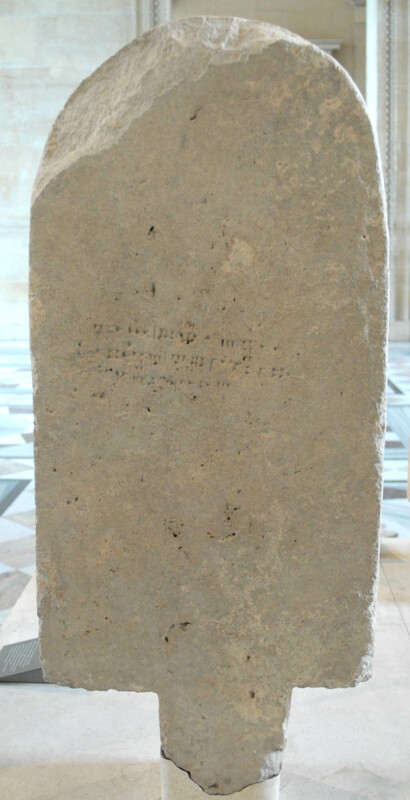 Stela with cuneiform inscription dedicated to Dagan that was discovered on the high place of Ugarit, Louvre Museum, Paris. 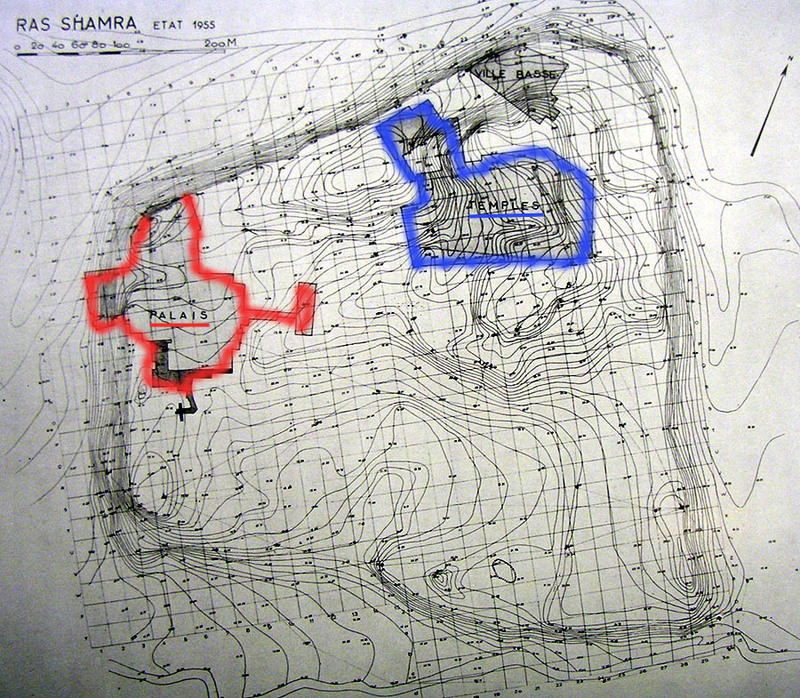 1955 topographic map of Ugarit with outlined palace (red) and temple (blue) areas. Architectural plan (with tablet numbers) of the Archive Building within the palace. 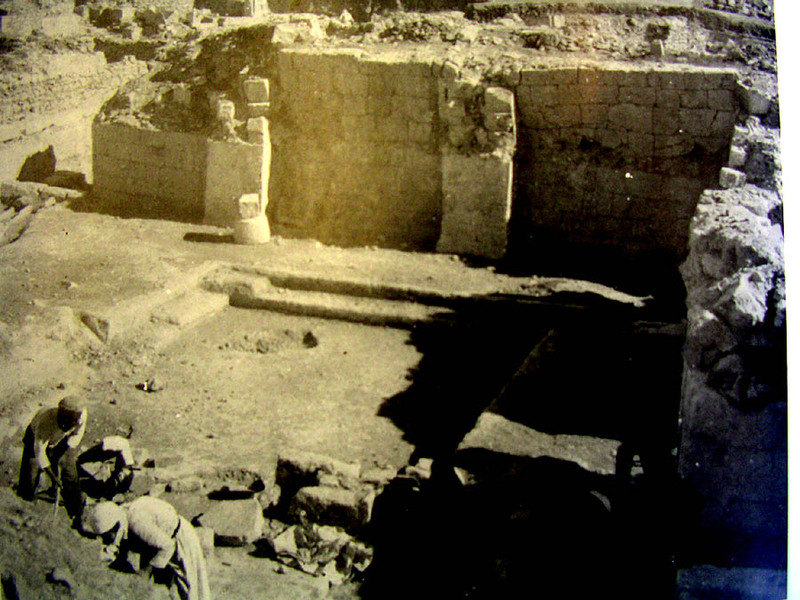 French archaeologists excavating tablets inside the palace. 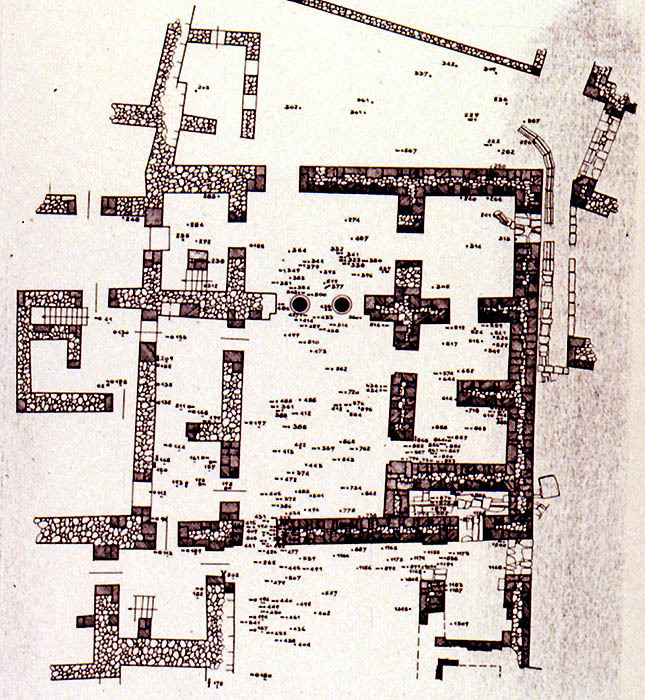 Plan showing houses with associated underground tombs. 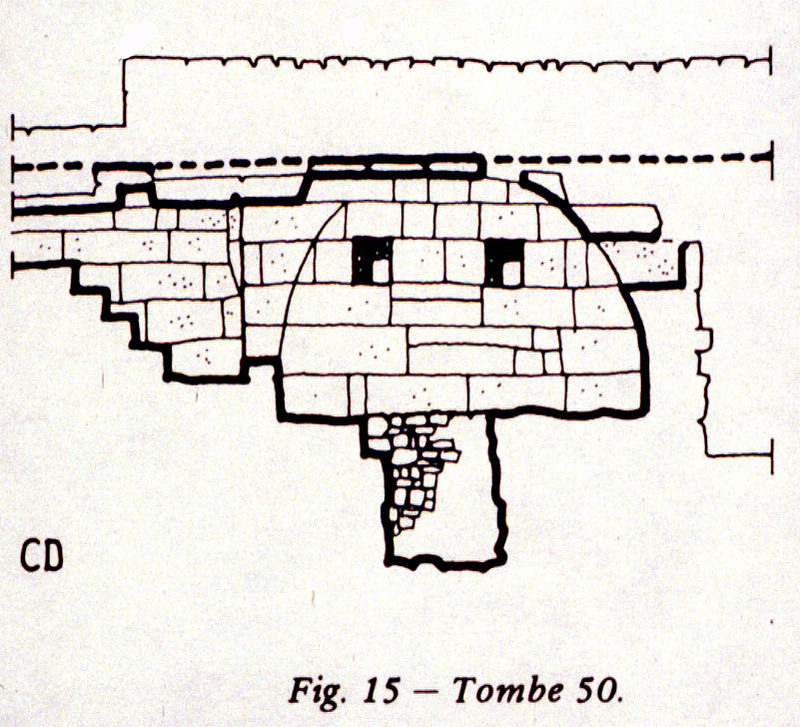 Cross section of an underground tomb at Ugarit.